Sleepy Hollow is the first film on this year’s list I have a history with. I remember the film’s trailer back in the day; a full scene from the movie of a young boy hiding from the Headless Horseman as his parents are butchered before his eyes. I also remember seeing the film in theaters, and my mom spilling an entire bag of popcorn on a random stranger after a jump scare from a witch. And who could forget the highly detailed action figures from McFarlane Toys? Truly, it was my Woodstock. But is it any good? Based on the classic 1820 American short story, “The Legend of Sleepy Hollow” by Washington Irving, this version was adapted for the screen by Andrew Kevin Walker. Of course, Walker is most famous for his sadistic original screenplay Se7en, and I definitely feel some of Se7en’s disturbed DNA in this film’s scarier scenes. Though much of Walker’s more violent content was trimmed by another screenwriter. Tim Burton is at the helm adding his trademark spooky touches with a diluted palette, curved shapes and who else but Johnny Depp. Sounds like a recipe for success, right? 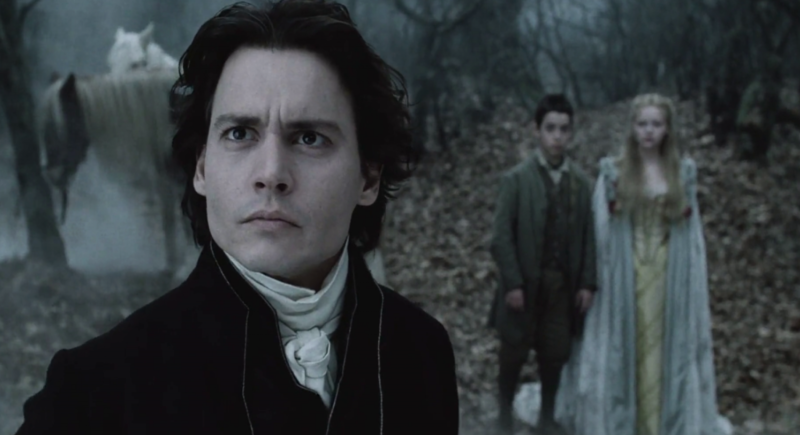 In a way, Sleepy Hollow is the last truly Tim Burton-y film ever made. 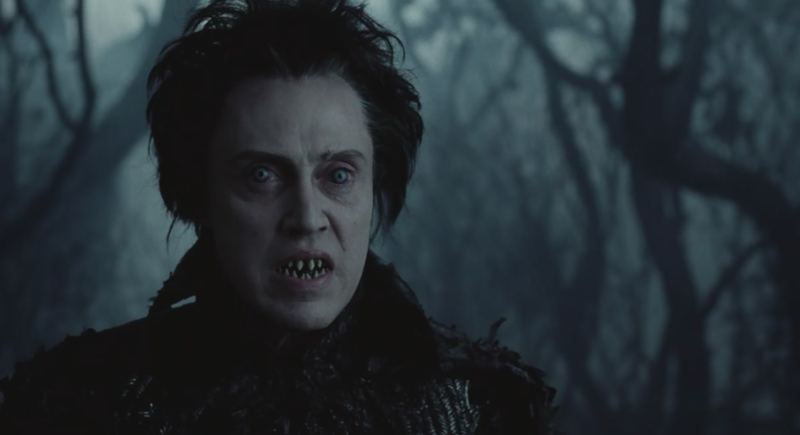 Sure, Burton’s made gothic stories since with Sweeney Todd and Alice in Wonderland but those films feel so inorganic with their blatant overuse of CGI. Sleepy Hollow feels more akin to a film like Beetlejuice, Edward Scissorhands or even Batman Returns with sets ripped straight from German Expressionism. Though that’s not to say it doesn’t have its fair share of unremarkable effects. This also marks a transitional film from the Tim Burton of yesteryear to the Tim Burton of today. The film’s plot is similar to the original story, but with a few tweaks. Instead of coming to Sleepy Hollow to be a schoolteacher, Ichabod Crane (Johnny Depp) is a police constable from New York City sent upstate to Sleepy Hollow to investigate a series of decapitations. He also makes a big deal about how it’s 1799 and society needs to be more aware of emerging sciences and leave behind barbaric practices and superstitions. Part of me wonders if this was in any way a commentary on the new millennium. The film was released on November 17, 1999 (Happy Birthday Sean). 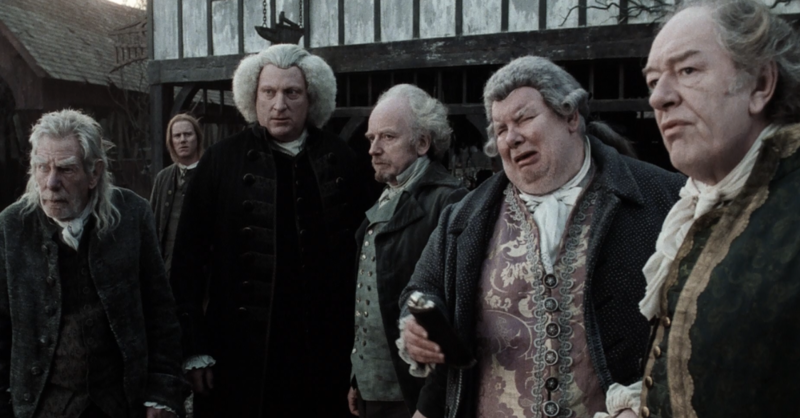 When he arrives, Ichabod finds a sleepy hamlet overseen by a council of cranky old dudes. These old dudes are rich guy Baltus Van Tassel (Michael Gambon), Town Magistrate Samuel Philipse (Richard Griffiths), Reverend Steenwyck (Jeffrey Jones), Notary James Hardenbrook (Michael Gough) and in a rare non-Star Wars appearance, Ian McDiarmid as Dr. Thomas Lancaster. That’s a solid lineup of old dudes and it is entertaining watching them fret over the fate of the town. Additionally, Casper Van Dien from Starship Troopers plays a rather forgettable Brom Van Brunt and Christina Ricci is Ichabod’s love interest as the daughter of Baltus. Though she’s about sixteen years younger than Depp. Yuck. Even though this film has a clear-cut adversary in the Headless Horseman (played by Christopher Walken whenever he has a head) the story is also a bit of a whodunit. “Who summoned the Headless Horseman, and why?” I won’t spoil it for those of you planning on watching the film on Freeform this year—formerly ABC Family, formerly FOX Family—but it is a fun rabbit hole to go down. As I stated earlier, the sets are amazing, as are the costumes and makeup. I think I read somewhere on IMDB that one actor noted walking around the set was like, “walking around the inside of Tim Burton’s mind.” It is quite the sight to take in. There is some weak CGI here and there, mostly involving the Headless Horsemen, but it’s only occasionally distracting. Most of the film feels like a genuine effort to create something beautiful. It did have three-time Oscar winner Emmanuel Lubezki as its cinematographer after all. My main problem with Sleepy Hollow, which isn’t usually a complaint I have about Burton films, it has too much action. I assume this was a studio decision to try and turn the film into a blockbuster. Although there are some impressive stunts there’s not really much to work with in a small colonial village. I mean, how many times can you do a carriage chase? Why does the Headless Horseman constantly feel the need to show off his axe-work like he’s Bruce Lee? They should have gone far more subtle than they did. Maybe they could have actually made something smart and scary, instead of silly. 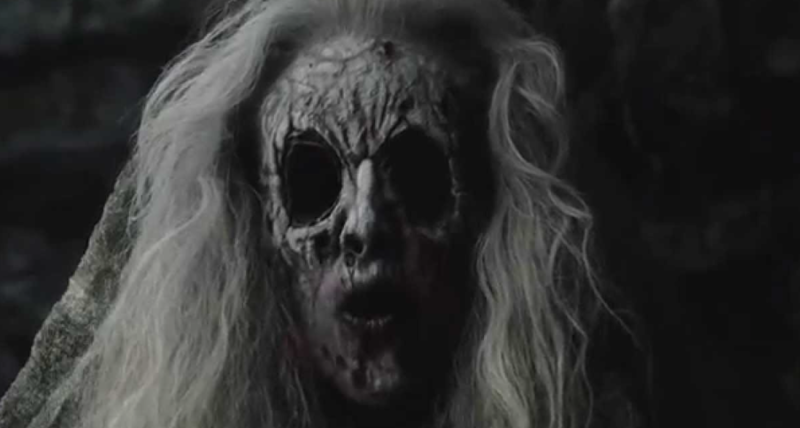 Sleepy Hollow is a fun movie, but it could have been so much more. Burton and co. should have gone for something more subdued. It’s by no means a bad film but rarely elevates itself above dumb fun. I guess the studio wanted moviegoers to leave their brains at the door. Might as well leave behind their whole head while they’re at it. If this doesn’t make you spill your popcorn, I don’t know what will.